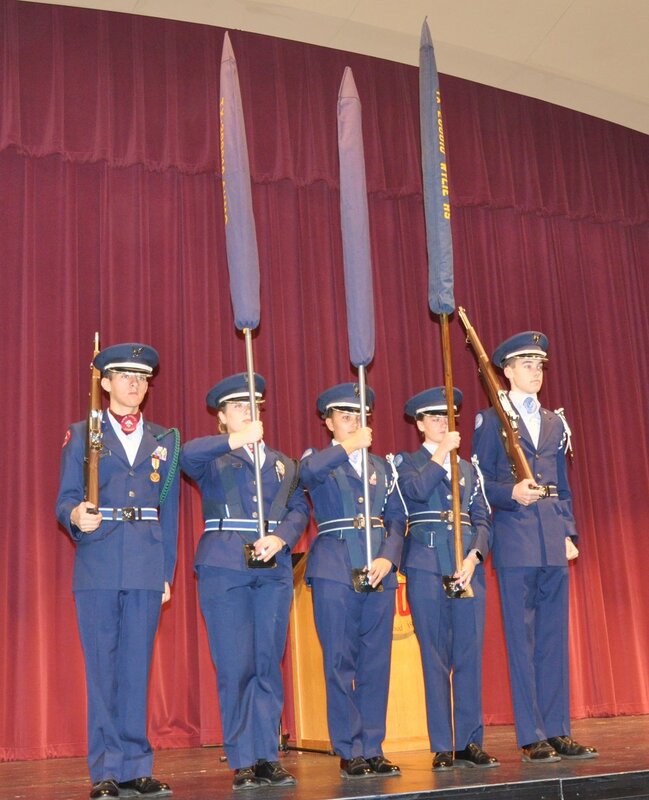 Wylie Independent School District hosted its annual Veterans Day Program at Wylie High School on Nov. 12. The event, originally scheduled to take place at Wylie Stadium, was moved to the school’s auditorium due to weather concerns. Both WylieHigh and Wylie East’s JROTC invited veterans from our country’s five military branches to attend breakfast, prepared by WHS’s culinary students, before the program began promptly at 10:40 a.m. While Colonel Brooks McFarland from Wylie East and SeniorMaster Sergeant Larry Lewis joined Colonel Stephen Jones in planning this year’s program, it was the cadets who proudly handled the details. Jones explained, “JROTC is a cadet run, cadet led program. Wylie High and Wylie East take turns planning the WISD Veterans Day Program each year. This year was Wylie High’s turn. Our Corps Commander, Cadet Colonel Alison Cooke took the lead. She coordinated everything with the Corps Commander at Wylie East, Cadet Colonel Alexander Lohmar.” Cooke and Lohmar picked 25 cadets to take part in securing the program’s success. The Color Guard, Service Flag Bearers and key personnel practiced for many hours preparing to honor each veteran. As the program commenced, veterans were welcomed before the Presentation of the Colors and National Anthem. A brief history of Veterans Day was given, then the Presidential Proclamation was soon read. Veterans stood as onlookers cheered while music from each branch of service was played. 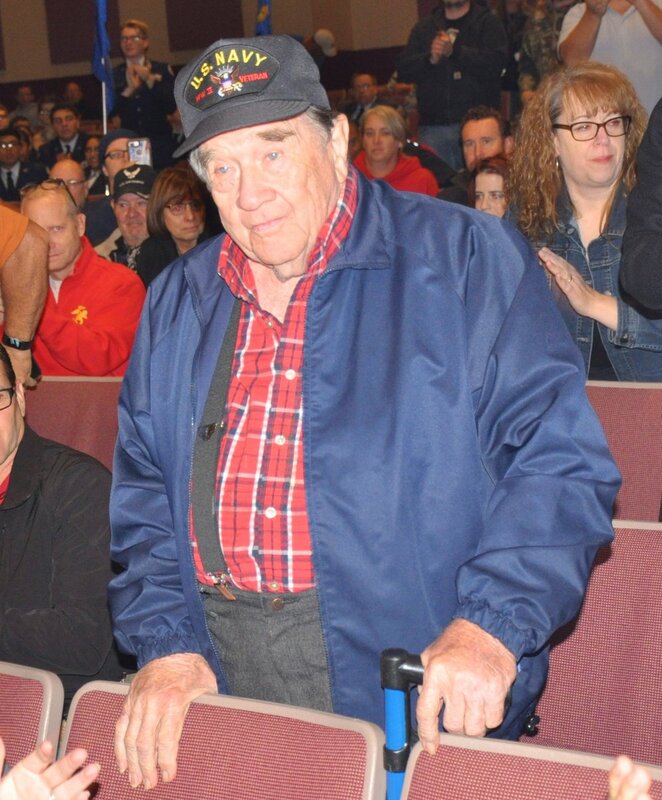 The auditorium erupted with applause and a standing ovation as U.S. Navy World War IIveteran, Blair Wright, proudly stood with honor. As “Taps”played, the Veterans Day Program came to an end.